On Wednesday, October 19th at 17:00, dr. Jan Frans van Dijkhuizen (University of Leiden) will present new research in his talk ‘”Never Better”: Consolation and the Culture of Protestantism in Early Modern England’. The talk will take place at the University of Amsterdam, in P.C. Hoofthuis room 1.05, Spuistraat 134, Amsterdam. In this talk I will look at the crucial role of consolation in the culture of early modern English Protestantism. Protestants were preoccupied by the idea of consolation, and felt that the true Christian community is defined by the ways in which it understands and practices consolation. This interest in consolation was occasioned in part by the importance of persecution and martyrdom for early modern notions of Protestant identity, yet the dominance of consolation in early modern Protestant culture extended beyond this. Members of the Protestant clergy were interested in suffering more broadly, and undertook a massive effort – in a diverse genre best labeled ‘religious consolation literature’ – to instruct their flock in the meanings of suffering, and to shape their responses to affliction. I will map some of the dominant tropes in this literature, showing that consolation was always a deeply politically fraught concept. Throughout the early modern era, this political dimension of Protestant consolation remained a potential to be activated by various Protestant factions alike, from ardent conformists to radical Puritans. I will also examine how consolation literature was put to use by early modern Protestant individuals. By turning to the notebooks of the London wood turner Nehemiah Wallington (1598–1658), I will show that consolation could be a frustratingly open-ended, potentially endless enterprise. While consolation is a central strand in Wallington, it never seems to attain its goal; it never enables Wallington to confer definitive meaning on his suffering. Jan Frans van Dijkhuizen teaches English Literature at the University of Leiden. He is the author of Pain and Compassion in Early Modern English Literature and Culture (Cambridge: D. S. Brewer, 2012) and Devil Theatre: Demonic Possession and Exorcism in English Renaissance Drama, 1558–1642 (Cambridge: D. S. Brewer, 2007), and has co- edited The Sense of Suffering: Constructions of Physical Pain in Early Modern Culture (Leiden: Brill, 2009) and The Reformation Unsettled: British Literature and the Question of Religious Identity, 1560–1660 (Turnhout: Brepols, 2008). He is currently preparing a third monograph, entitled A Literary History of Reconciliation: Remorse and the Limits of Forgiveness, which is under contract for 2018 with Bloomsbury Academic. He spent most of the spring and summer of this year as a Short-Term Research Fellow at the Folger Shakespeare Library, where he worked on the role of consolation in the culture of early modern English Protestantism. He is hoping to write a book on this topic in the not too distant future. The workshop brings together scholars from the Netherlands, Germany and the UK, who are working on various historical and literary approaches to the study of emotions. During two days in Wassenaar, participants will explore the ways in which emotions have been placed in dialogue with sociocultural values and political discourse throughout the period 1300-1900. The workshop primarily engages with emotion in a European context and so will raise questions about national stereotypes and emotions, as well as the possibility of characterizing a ‘European’ selfhood. In their papers, participating scholars explore emotional rhetoric in a range of texts, such as medical and scientific tracts, visual art, music, theatre, literature, historiography, and war reporting. Individual topics range from medieval medicine to midwifery manuals of the eighteenth-century to the emotional appeal of opera in the nineteenth century. All workshop participants are invested in understanding the historical development both of emotions and the subject, concerns which continue to impact and shape European culture, literature, and art as we know it today. The workshop is organized as part of the Emotion and Subjectivity Research Group, based at the University of Amsterdam. 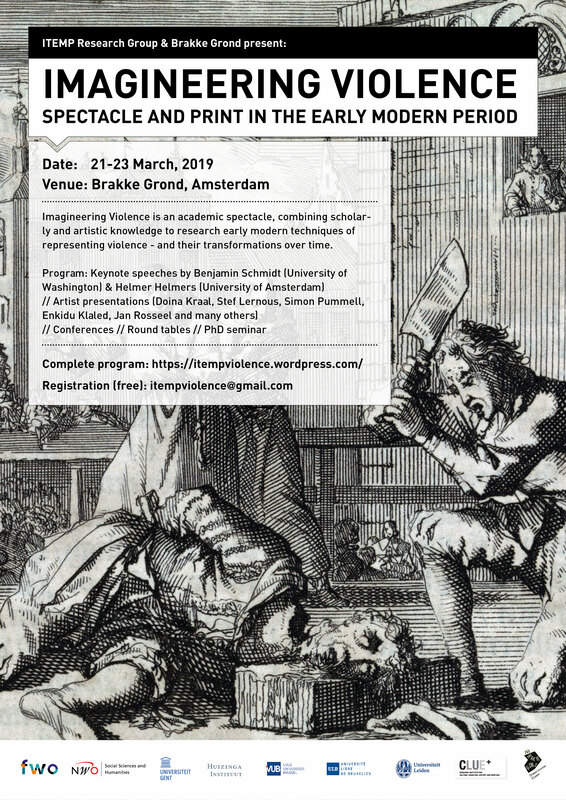 For more information or to register, please contact the workshop organizers, Dr. Kristine Johanson (K.A.Johanson@uva.nl) and Dr. Tara MacDonald (T.C.MacDonald@uva.nl).